Athertons Lettings are an independent lettings and management business based in the centre of Clitheroe and covering the Ribble Valley and surrounding areas. Established in 1994 we have years of experience and a wealth of knowledge and expertise of the local property and lettings market. 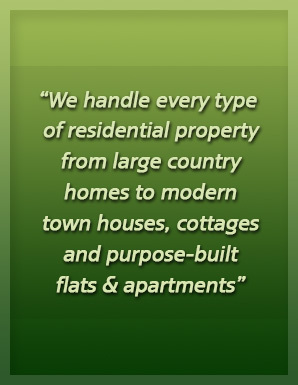 Our ever increasing portfolio of properties covers everything from large country homes to modern town houses, cottages and apartments and we pride ourselves on the high quality of service that we give to both Landlords and Tenants. At the heart of our business is a professional, experienced and reliable team that are passionate about lettings and in delivering a thorough and efficient service that is second to none. As members of ARLA (Association of Residential Letting Agents) we are committed to demanding levels of professionalism which in turn reflects on everything we do. So whether you are a prospective tenant searching for a new property or a Landlord looking for an experienced and professional lettings agent then look no further than Athertons Lettings. Meet the Athertons Lettings team and learn a little more about our passion for lettings and delivering the best possible service that we can. In November 2013 we relocated to Fern Court Business Centre in the heart of Clitheroe. Learn more about the various ways you can contact the team and see our opening hours.